How can I drag a sequence of clips in one track as a whole and this way synchronize edit points in Nero Video within two tracks ? 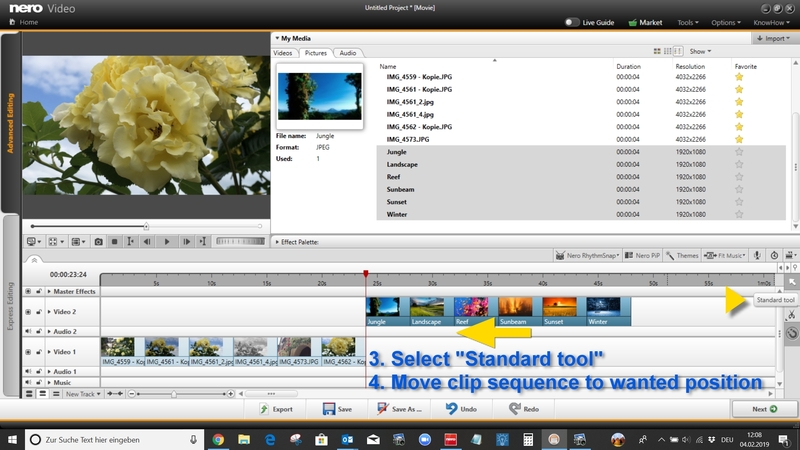 In Nero Video ‘Advanced Editing’ there are different tools available that will help you multi-selecting clips in one or more tracks, so that you can drag them to the desired position in the timeline. Such tools can be accessed via the list of selecting/trimming tools at the right hand side of the timeline. Inside of the tool box just click on the little arrow bottom left of the box. 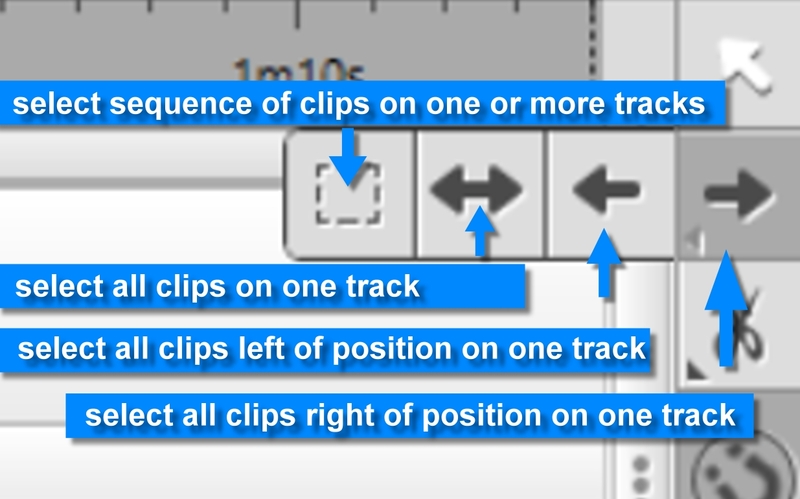 The ‘Marquee Tool’ allows you to draw a selection mark around clip sequences in one or more tracks of the timeline so that you can drag sequences of clips without losing your already made edits inside of the selection. This tool is pre-selected in the tool box. 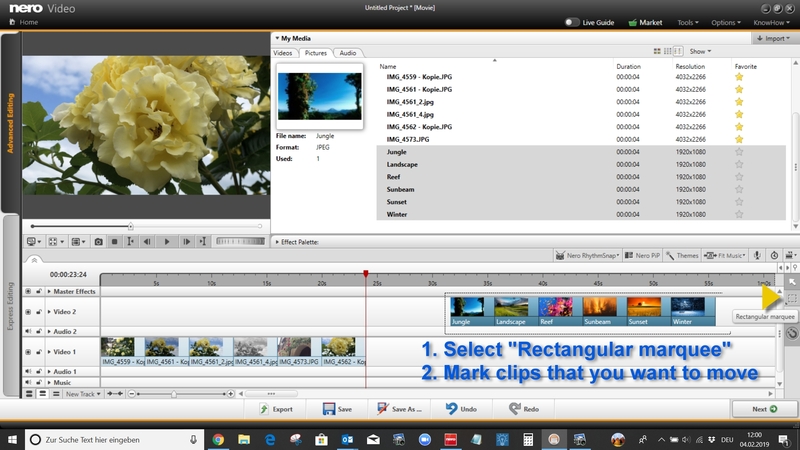 There are also more selective track selection tools associated to one track only, so that you can drag sequences of clips without losing your already made edits inside of the track. To access the options click on the small triangle located in the tool box bottom left. Click on one of the tools and follow steps 2-4 as already described under ‘Marquee Tool’.